Whew! Long time no post eh? 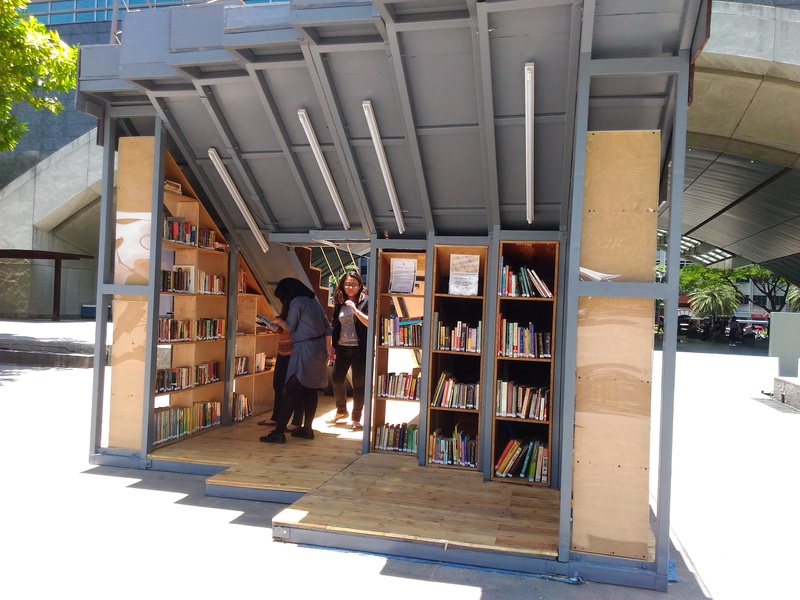 Today I want to share with you guys an interesting library we have here in the Philippines- The Book Stop Project. 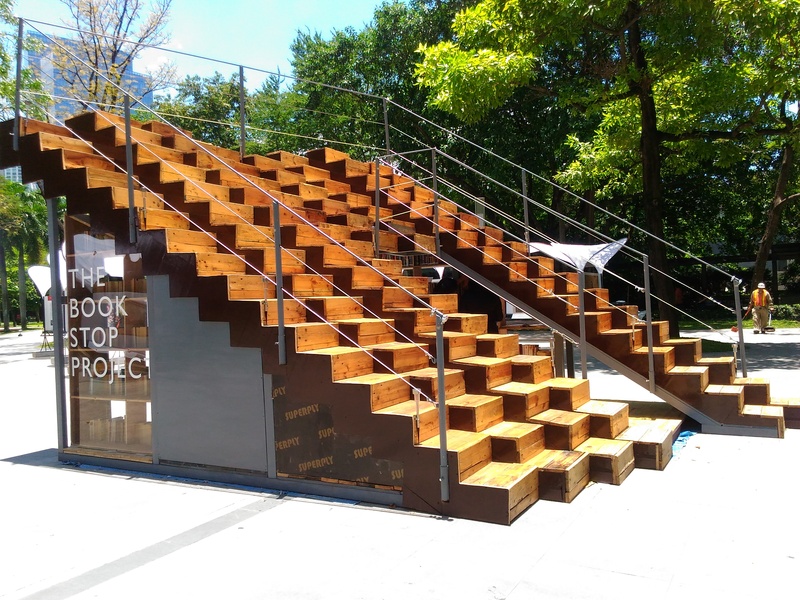 The Book Stop Project is a pop-up library by WTA Architecture and Design Studio, which aims to promote reading and sharing of ideas among people, especially in today's generation where technology competes with the traditional way of interacting and reading. 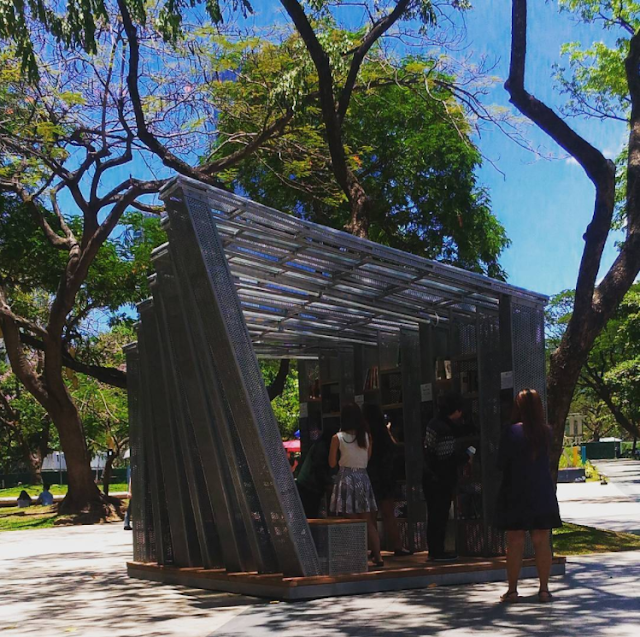 While a pop-up library is not really a unique concept, it is quite unheard of in the PH. Kudos to WTA for introducing it here! 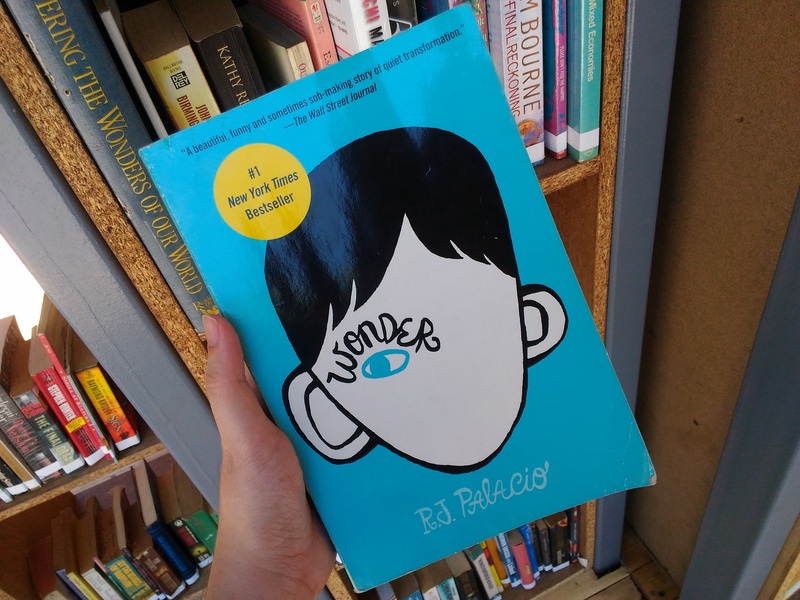 It will surely change the way Filipinos commonly perceive libraries. For more information, you can visit The Book Stop Philippines page here. This year, WTA changed its look with an equally unique design. Gotta love the steps eh? 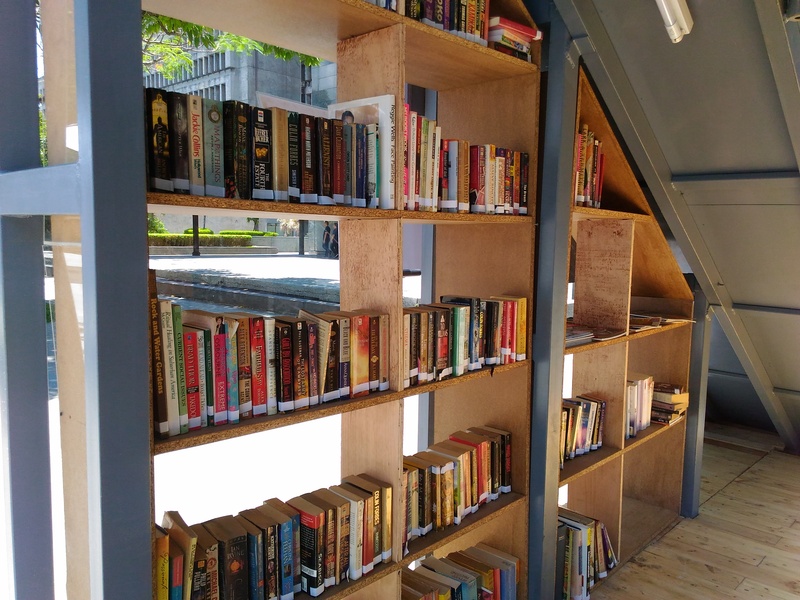 Here's how it works: "A pop-up library and book exchange: A shared community space where people can enjoy reading, interact in lively discussions and share their love for books by donating their own. 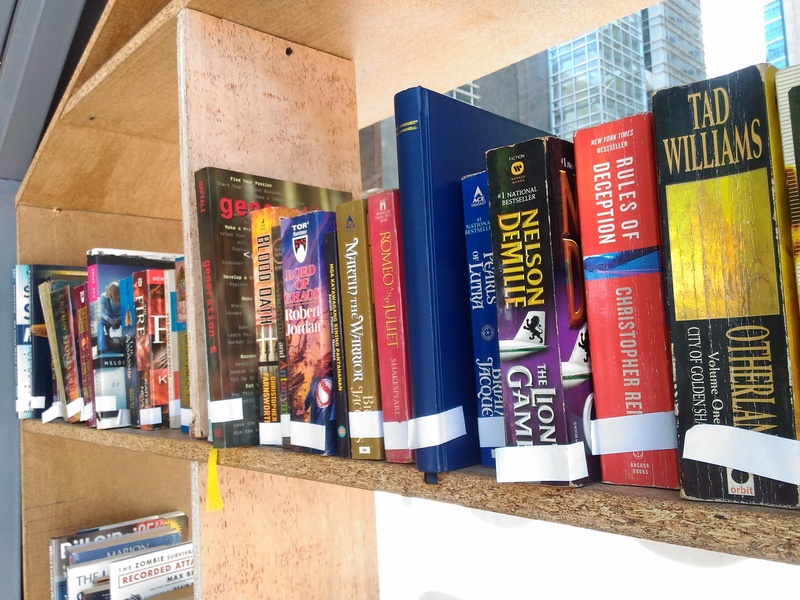 Give a book, get a book or borrow a book and return it on the shelf after reading." 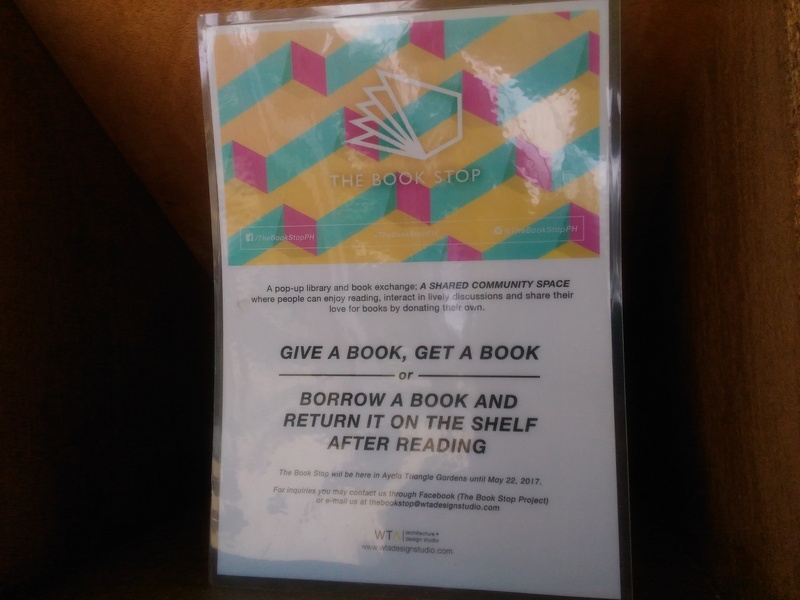 1) Please take care of the books inside The Book Stop. 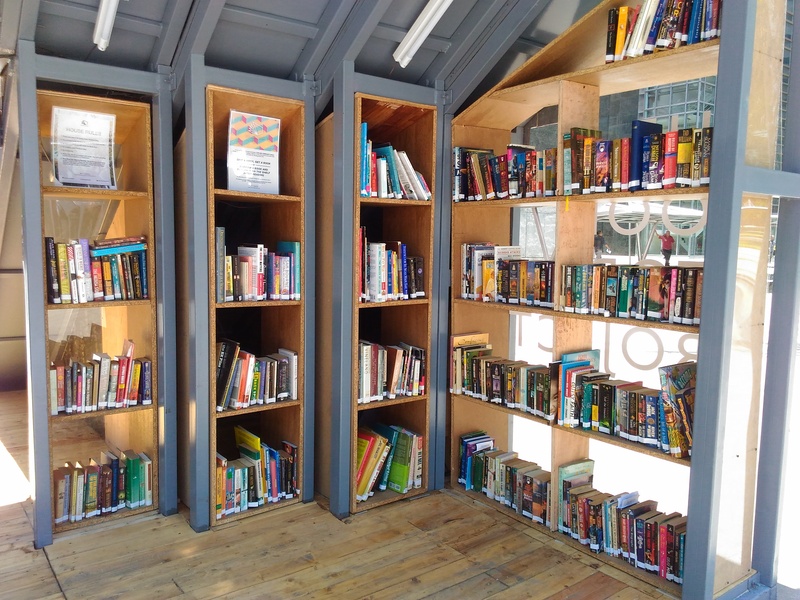 2) You can read inside The Book Stop if you find a book you like. 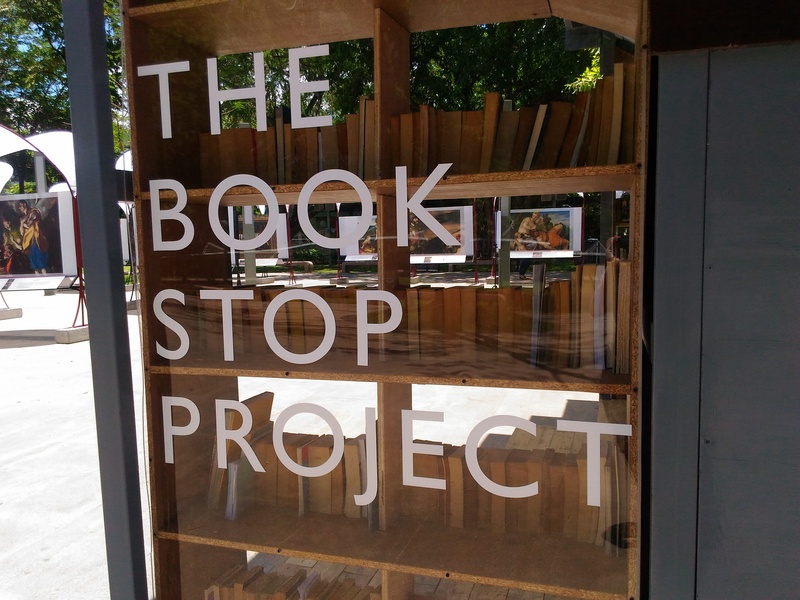 3) No food and drinks allowed inside The Book Stop. 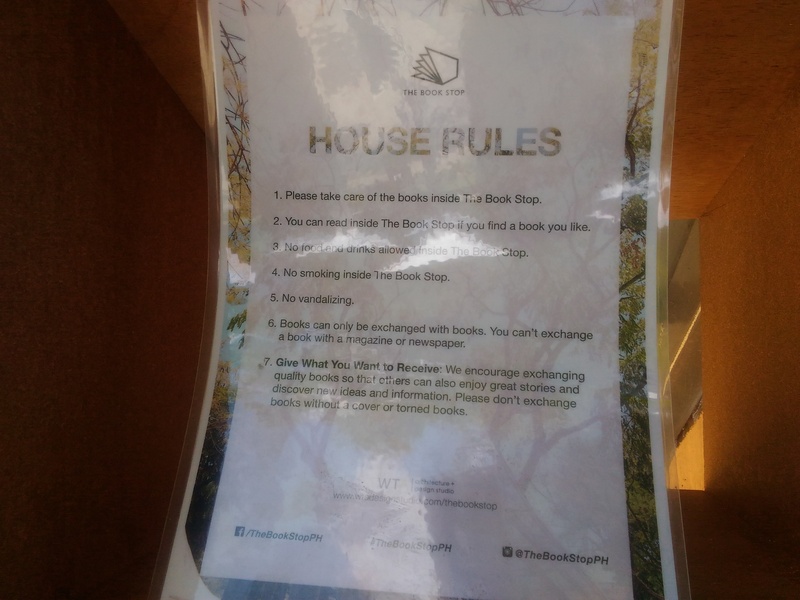 4) No smoking inside The Book Stop. 6) Books can only be exchanged with books. You can't exchange a book with a magazine or newspaper. 7) Give what you want to receive: We encourage quality book so that others can also enjoy great stories and discover new ideas and information. Please don't exchange books without a cover or torned books. I have already donated three books and got three for myself as well. Haha! That will be for another blog post, because I am planning to donate more! 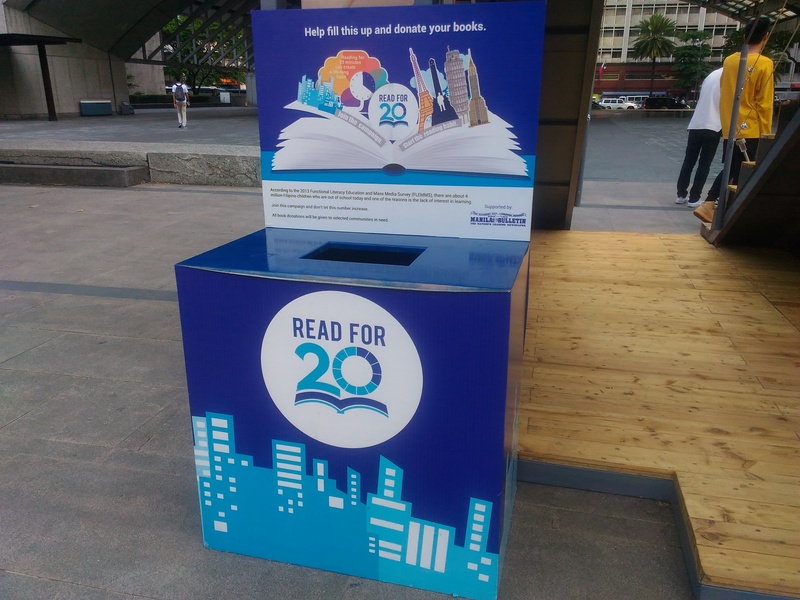 The Book Stop Project will be in Ayala Triangle until May 22, 2017.